Practice, the line of 3D, multiplayer Serious Games developed by Muzzy Lane Software for McGraw-Hill Education, which already includes Practice Operations, Practice Marketing, Government in Action, and Practice Spanish: Study Abroad, is about to get a new addition: Practice Medical Assisting. Designed against course Learning Objectives and delivered on the web and on tablets, these games integrate into the core curriculum to provide hands-on learning experiences. Practice is also integrated with McGraw-Hill Connect® to give instructors and students seamless access to the experience, including single sign-on and assessment data. Practice MA is an online educational Serious Game for Medical Assisting instructors and students that allows players to stand out from their peers and be workplace ready. By practicing critical thinking and soft skills that are crucial to a successful career in the MA profession, this virtual experience provides students with a game that is challenging, promotes discovery and mastery and ultimately provides real life scenarios that prepare students for the workplace in a safe environment. Medical Assisting is one of the fastest growing jobs in the healthcare field. According to the Bureau of Labor Statistics, employment of medical assistants is projected to grow 29 percent from 2012 to 2022, much faster than the average for all occupations. In 2012, the Medical Assisting profession employed circa 560,000 people and BLS predicts that additional 163,000 jobs will be created by 2022. Among the reasons for this fast-paced growth is the aging of baby-boom population that will continue to spur demand for preventive medical services, which are often provided by physicians. As their practices expand, physicians will hire more assistants to perform routine administrative and clinical duties, allowing the physicians to see more patients. Most medical assistants have post-secondary education such as a certificate. Others enter the occupation with a high school diploma and learn through on-the-job training. Certified Medical Assistant (CMA) is the highest standard of professionalism in the field. By having this certification professionals show that they have met the standards of the Certifying Board of the American Association of Medical Assistants. 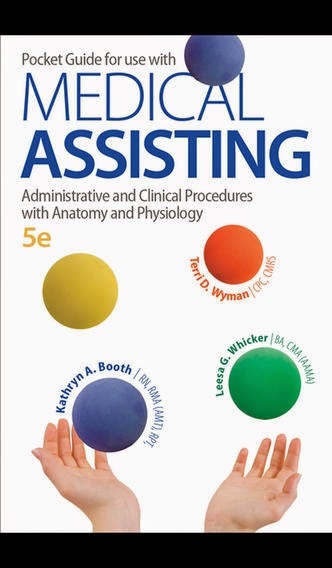 This quick reference guide for medical assisting includes step-by-step procedures for administrative and clinical skills and easy reference to anatomy and physiology, communication, and legal considerations. This application is intended to prepare users for Medical Assisting Certification with 2 full practice exams. 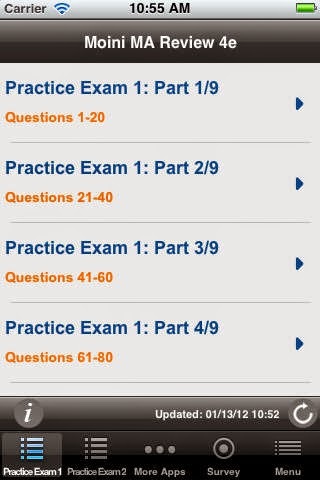 The practice exams are based on Hill’s Medical Assisting Review 4th edition by Jahangir Moini.